Pvt. John Branch (1843-1918) was a native of Laurens County. He served with the 57th Georgia Infantry in Company B. He was discharged from service on 5 April 1865. 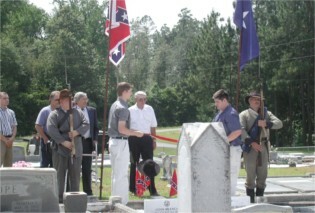 His great grandson James Ray Branch of the Dixie Guards held a dedication service for Pvt. 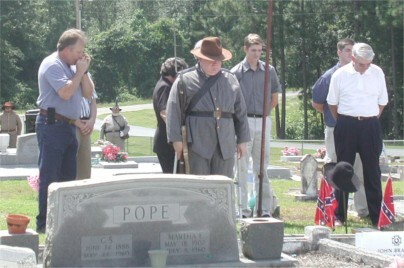 Branch at his burial place in Blue Springs Cemetery in Laurens County. He was joined by the Branch family and members of the Tattnall Invincibles and Dixie Guards. Mr. Jim Branch provided these inspiring photos of the dedication service. Note the photos below that can be enlarged by clicking on them. 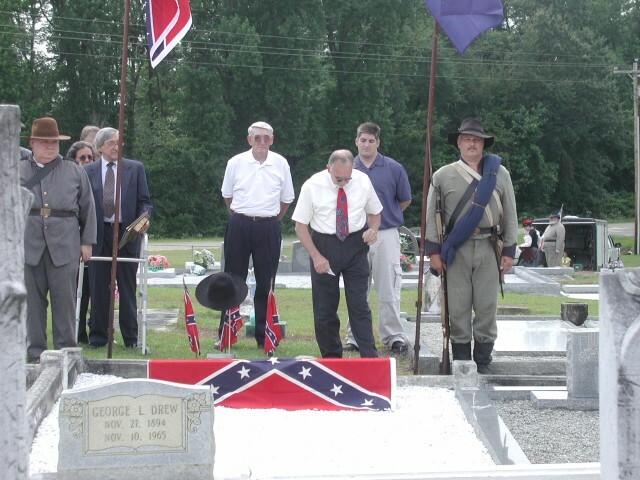 Sons of Confederate Veterans members attend these occasions with a sense of honor, duty and pleasure. Many family members find the memorials profoundly moving. Mr. Branch reports that this was indeed the case at Pvt. Branch's memorial dedication.